Interested in knowing more about what we do? See our case studies below! ECA completed the assessment, design, and construction of a 17 ha wetland compensation project within a former gravel pit site. Federal and Provincial permits and approvals were secured to allow construction to be initiated. Using compact machinery with a light footprint, construction of structures to enhance hydrology and soils forming functions at the wetland were completed in 2015. Monitoring of changes to soils, hydrology, and plant communities is ongoing. Radio telemetry tracking of the Provincially and Federally listed Wood Turtle was carried out in order to identify significant nesting, overwintering and foraging habitats near the project area, allowing incorporation of this species' needs into the project design. 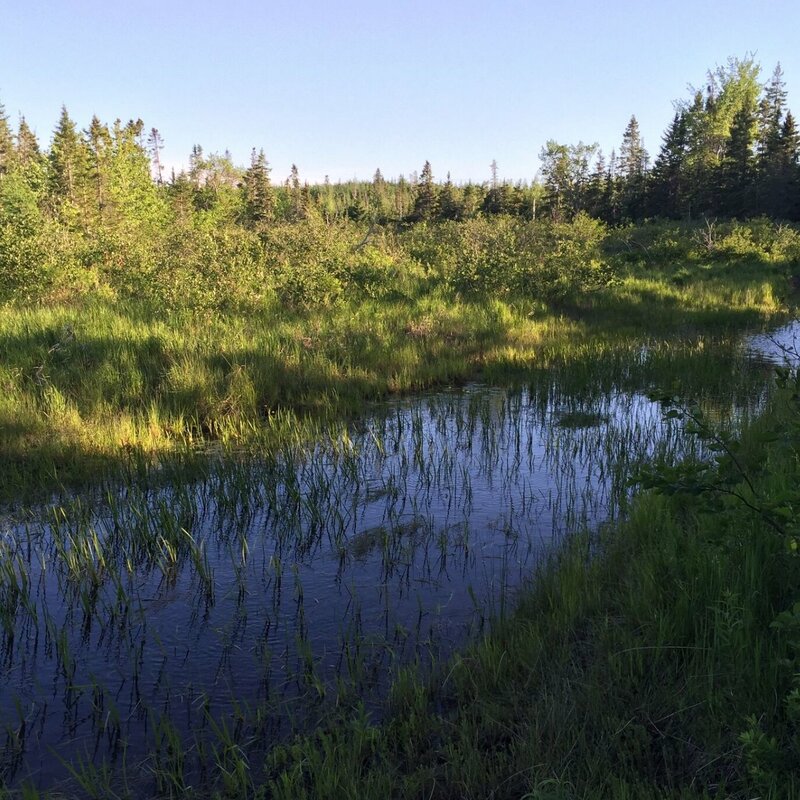 ECA was retained by the Eastern Mountain Avens Recovery Team to complete the hydrologic restoration design for the 58 ha Big Meadow Bog. The Eastern Mountain Avens (Geum peckii) is a globally endangered plant found only in two locations in the world, one being Big Meadow Bog. Ditching and draining of the bog in the late 1950s led to the lowering of the water table, with adverse impacts to the Aven's population and ecology of the bog. ECA undertook field evaluations of impacts; a ditch-blocking trial to gather empirical data on water levels; and an assessment of historic site changes in order to develop a phased restoration design. Prescriptions included of 120 peat based ditch blocks, 3.7km of ditch re-profiling, and removal of woody plants as measures to restore hydrology and reactivate historic lagg channels. Restoration began in the spring of 2016 and was completed in the fall of 2017. 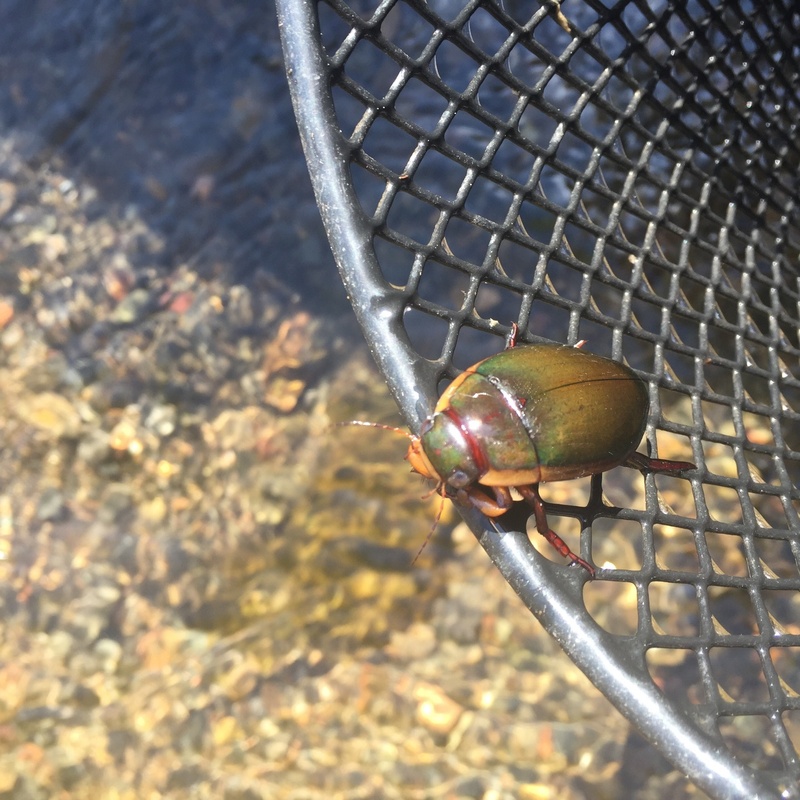 As part of a new land acquisition, the Nature Conservancy of Canada wished to better understand the aquatic resources and species' use on their remote property in Digby County, Nova Scotia. 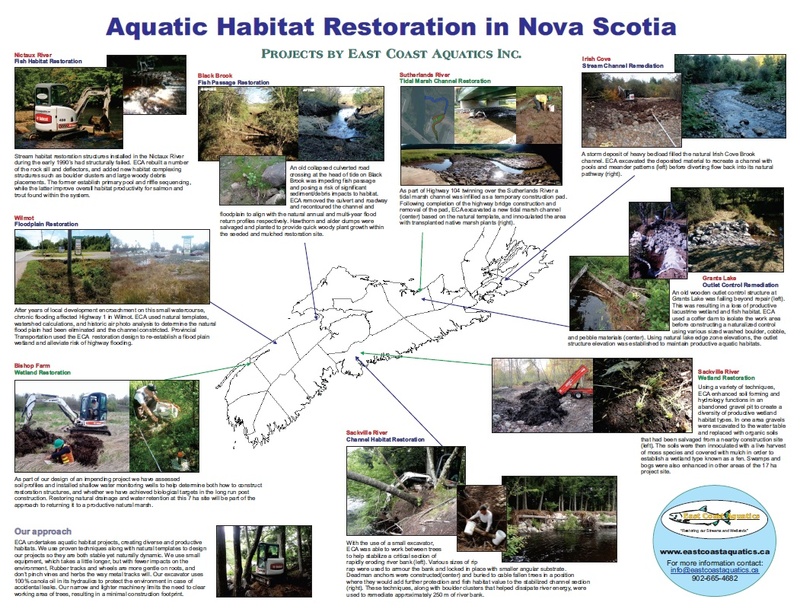 ECA undertook fish surveys using electrofishing, minnow trapping, and angling techniques to identify both species and life stage use of habitats in the newly acquired Tusket River Headwaters Nature Reserve. In situ water chemistry was assessed at stream habitats, and chemistry profiles were evaluated within lake habitats. Preliminary wetland classification was carried out on riparian wetlands, and initial inventories of Coastal Plain flora were conducted. Herptofauna searches identified a number of turtle nesting areas, and confirmed the presence of various species of turtle, salamander, and frogs. The project covered over 2000 ha of land base, and approximately 20 km of waterways.